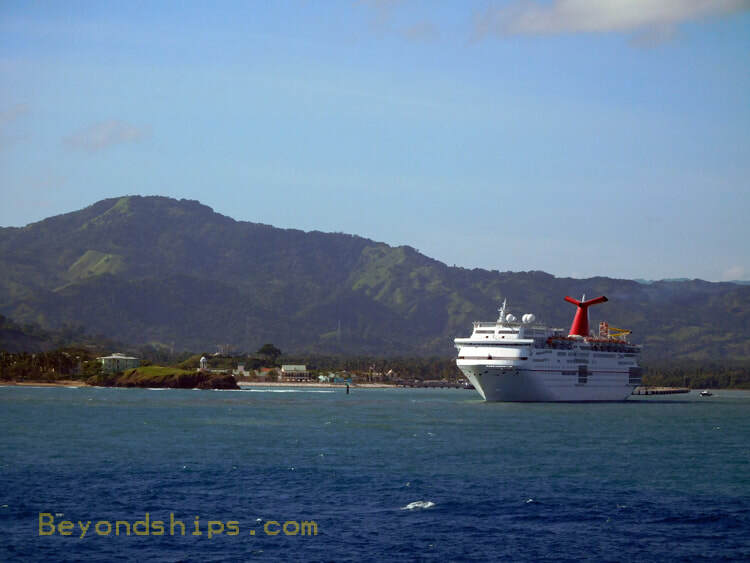 Amber Cove is a relatively new port in the Caribbean for cruise ships. 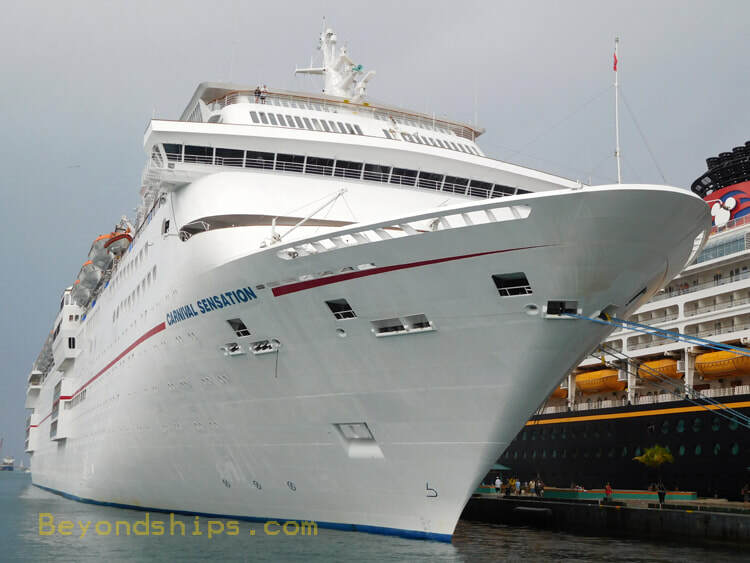 Nonetheless, Carnival Sensation has been there. 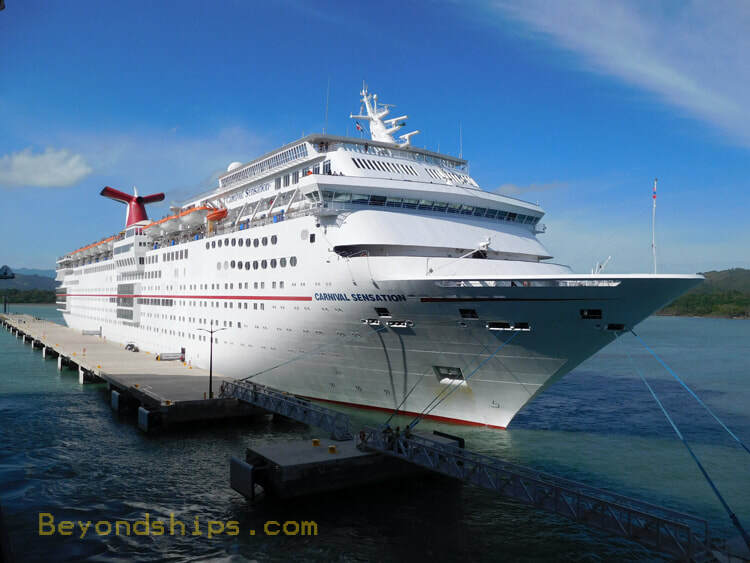 Here, she is on a sunny winter's day at the pier leading to this purpose-built cruise village. 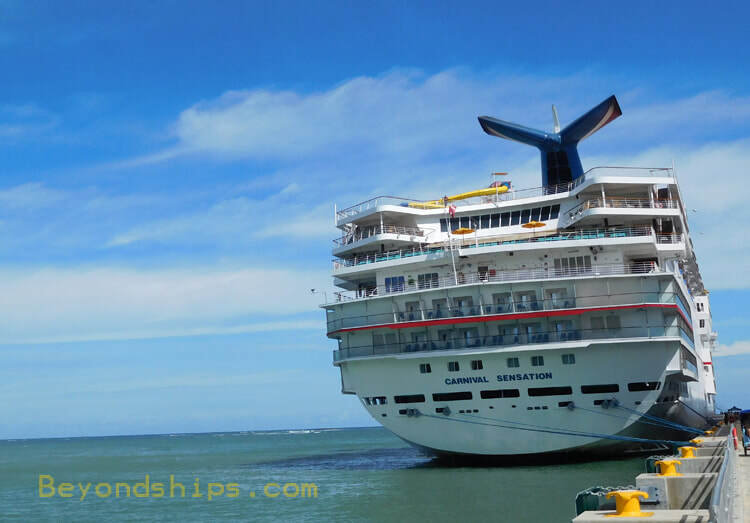 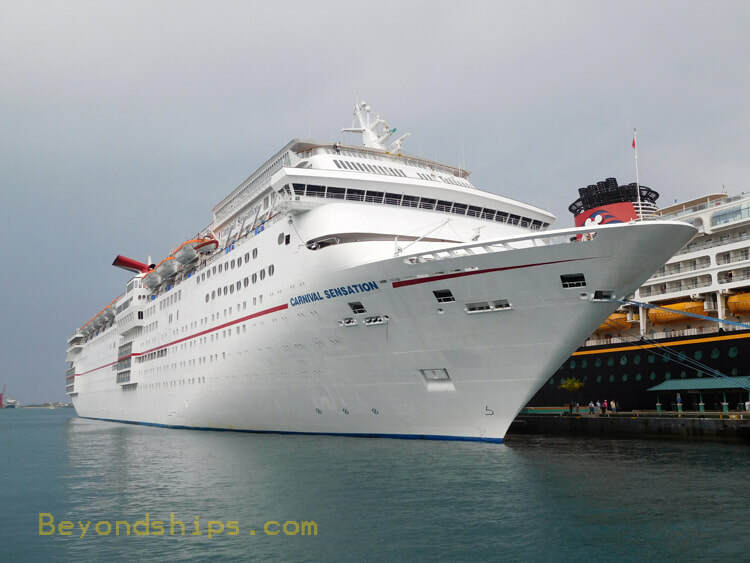 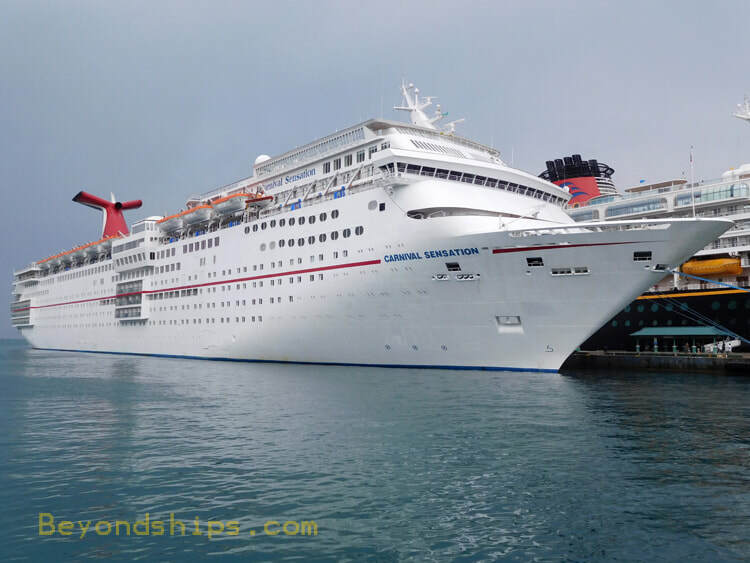 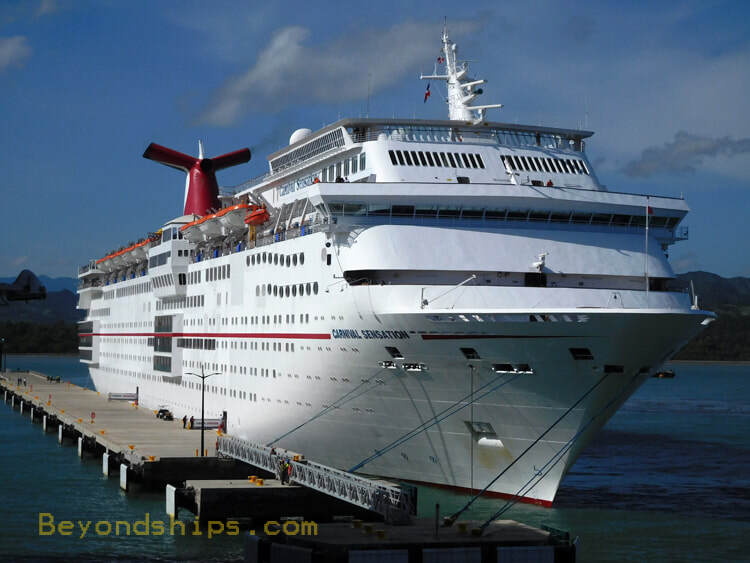 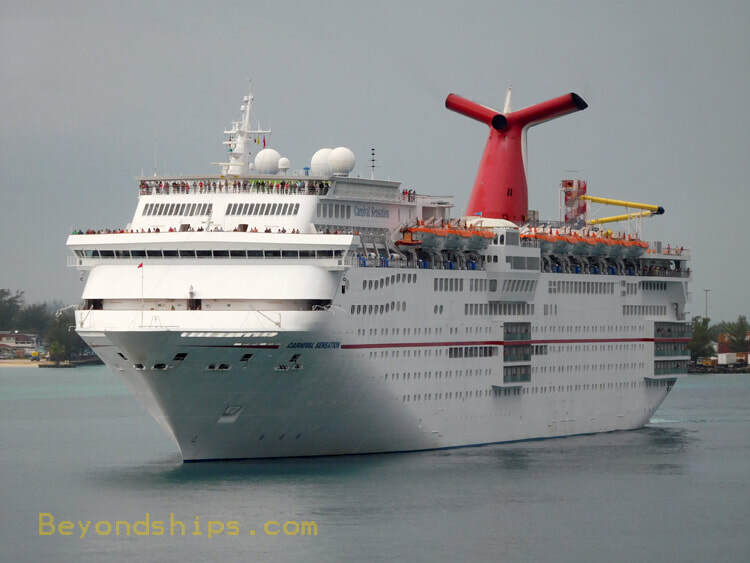 Carnival Sensation in the most popular port in the Western Caribbean. 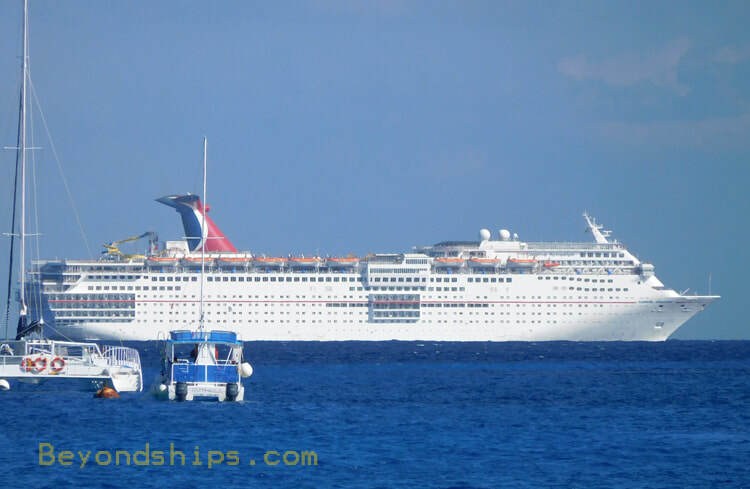 At left, Sensation approaching her berth in Cozumel. 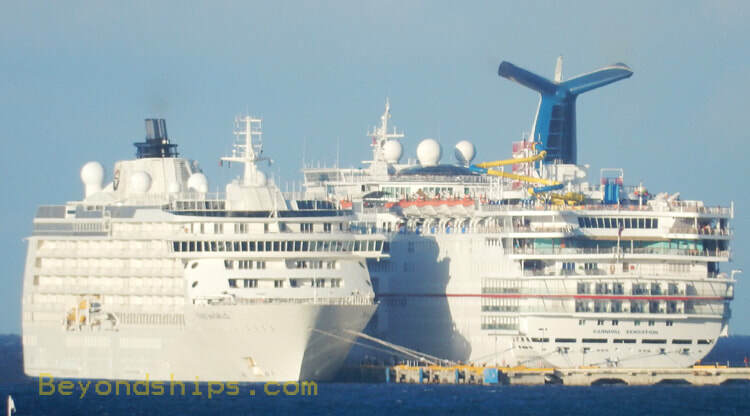 Above, with the residential cruise ship The World at the pier in downtown Cozumel. 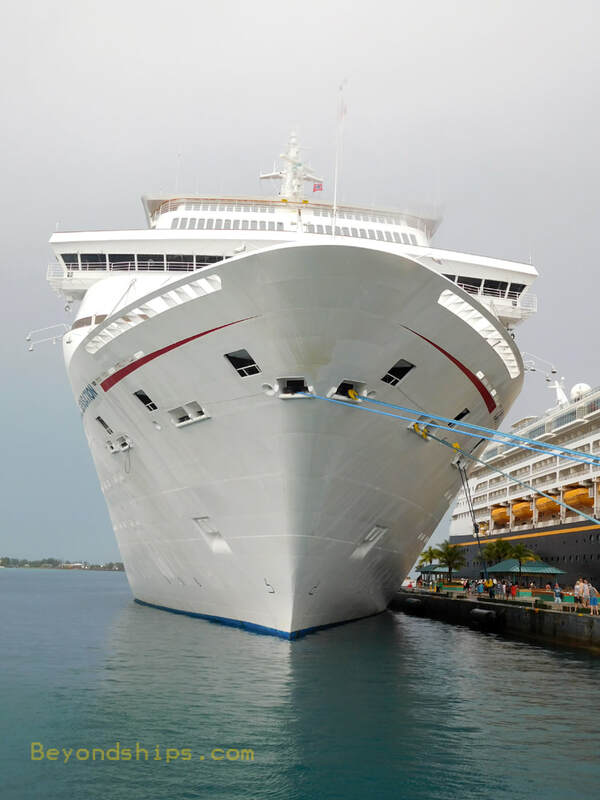 Carnival Sensation is a familiar sight in Nassau having done many short cruises from Florida to the Bahamas in the course of her career.